Cougar Buttes has many uses and is a very popular with off-roaders. The butte boast areas with small rolling hills for the novice, rocky ridges for the more experienced riders, huge rock structures for the rock crawlers and is a popular place for motorcycle trials events. The Cougar Buttes quadrangle is located along the southern margin of the western Mojave Desert province. The quadrangle straddles the east half of Lucerne Valley between the north piedmont of the San Bernardino Mountains and the Cougar Buttes inselberg. Structurally and geomorphically, Lucerne Valley is a closed desert basin that is flanked to the south by the San Bernardino Mountains and ringed to the north by highlands in the Mojave Desert, including the Granite Mountains, Sidewinder Mountain, Stoddard Ridge, the Ord Mountains, and Cougar Buttes. The basin has evolved in conjunction with uplift of the San Bernardino Mountains and with displacement on right-lateral faults of the Mojave Desert. Climatic fluctuations and tectonism have led to an evolving landscape and have generated a wide variety of Quaternary surficial deposits associated with various landforms in and around Lucerne Valley (Powell and Matti, 1998a,b). Geomorphically, Lucerne Valley is a bolson with a central playa fed by alluvial fans emanating from the surrounding bedrock mountain ranges. Intervening between the principal fans are broad piedmont slopes covered by thin veneers of Pleistocene and Holocene deposits. These veneers, including slopewash and alluvium, mantle pediments beveled across tilted Pliocene and early Pleistocene sedimentary strata onto underlying igneous and metamorphic rocks. 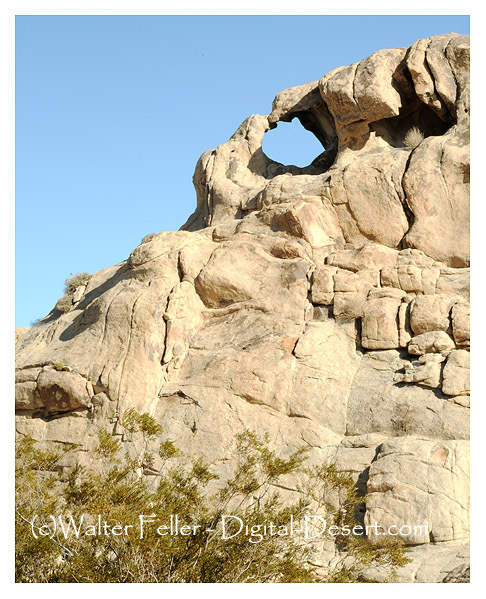 These surfaces are most prominent on Cougar Buttes, a granite inselberg encircled by a pediment apron, but are present on the piedmonts of all the ranges around Lucerne Valley, including the San Bernardino Mountains. Inselbergs on the north piedmont of the San Bernardino Mountains include the bedrock ridge on the east margin of the Cougar Buttes quadrangle south of State Highway 247 and the bedrock ridge just southeast of the town of Lucerne Valley in the Lucerne Valley quadrangle. Moreover, parts of the range-front itself just south of the Cougar Buttes quadrangle appear to rise at the upper margin of a piedmont erosion surface that is rather like a pediment. Structurally, the Lucerne Valley basin originated as part of broad trough that developed coincident with uplift of the San Bernardino Mountains during late Pliocene and Quaternary time. The trough extends eastward through Fry and Johnson valleys and westward to the San Andreas fault near Cajon Pass, where it accumulated deposits of the late Pliocene upper Crowder Formation (Phelan Peak deposits of Meisling and Weldon, 1989) and the Pleistocene Harold Formation and Shoemaker Gravel (Dibblee, 1967a; Foster, 1982; Meisling and Weldon, 1982, 1989). The trough formed as a downwarp in the basement that accompanied the uplift of the San Bernardino Mountains. As it grew, the trough received sediment from the rising mountain range to the south and the highlands in the Mojave Desert block to the north. The development of the trough represents a major paleogeographic change from the Miocene, when fluvial systems transported sediment southwestward from highlands in the Mojave Desert across the future location of the San Bernardino Mountains (Foster, 1980; Meisling and Weldon, 1982, 1989; Sadler, 1982c). The trough is segmented where it is transected by various right-lateral faults of the Mojave Desert province, including the Helendale and Old Woman Springs faults. Faults of this system control the position of the modern bolson in Lucerne Valley.